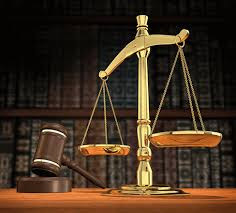 The bail hearing as filed by the legal team of Mazi Mazi Nnamdi Kanu and co-defendants, Benjamin Madubugwu, David Nwawusi and Chidiebere Onwudiwe has just commenced at exactly 11:05am, after much delay due to four prior cases presided over by the court. The introductions of the counsels have been observed. Nnamdi Kanu and co-defendants, each have a different Lawyer representing them. The legal experts have introduced themselves to the honourable court respectively, as well as the counsel to the Nigerian government, S.I Labaran. "My Lord, the bail application for the first defendant (Nnamdi Kanu) was filed to this court in accordance with the rule of law," Hon Barr. Ifeanyi Ejiofor, representing Nnamdi Kanu tells the honourable court. "On the 17th of December, Justice Ademola Adeniyi ordered that the first defendant be released unconditionally, but that order was not obeyed. "The IPOB members have been killed and maimed in large numbers. IPOB is a legal group that is known round the world. The pictures of IPOB members victimised by the Nigerian force men is also attached to the document filed.